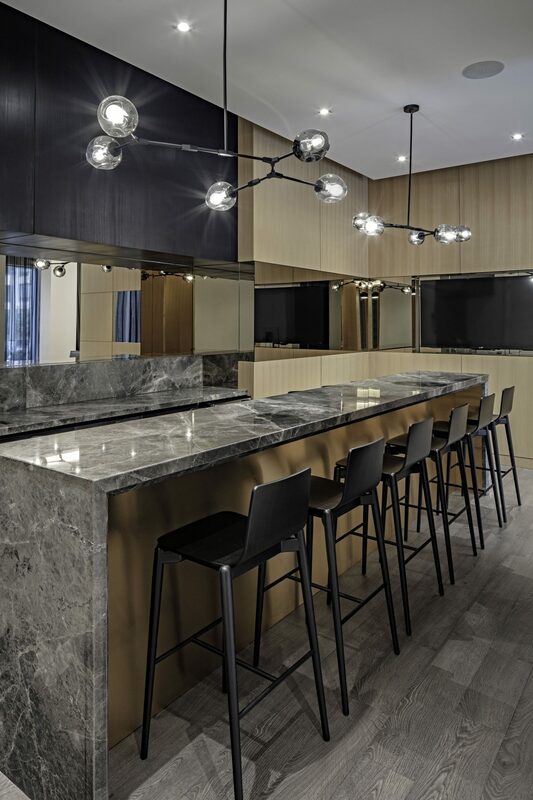 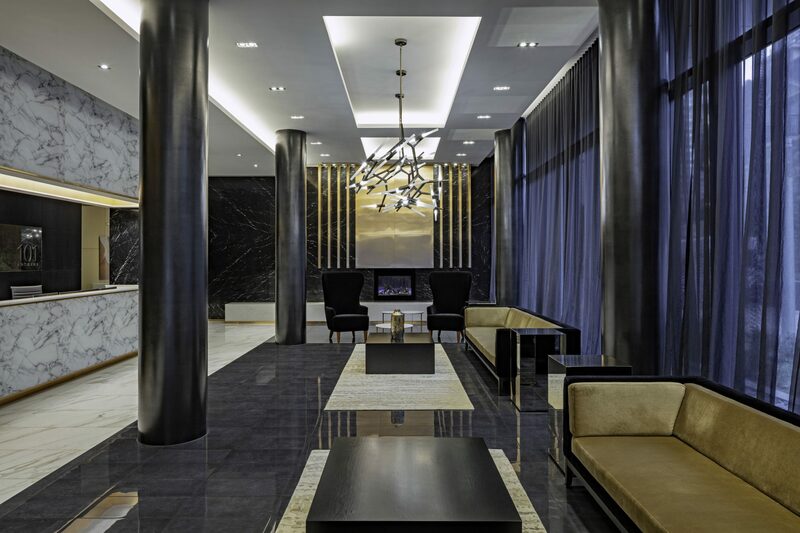 This uptown condominium is a beacon of well-appointed luxury living. 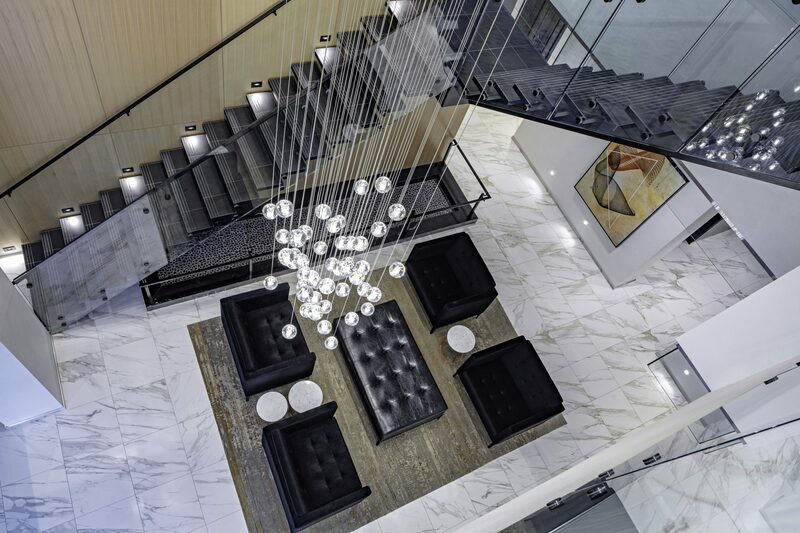 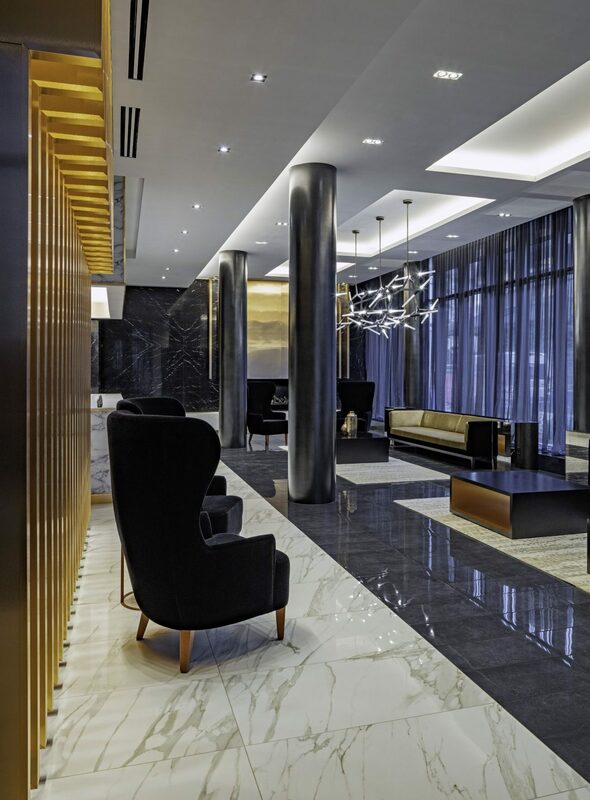 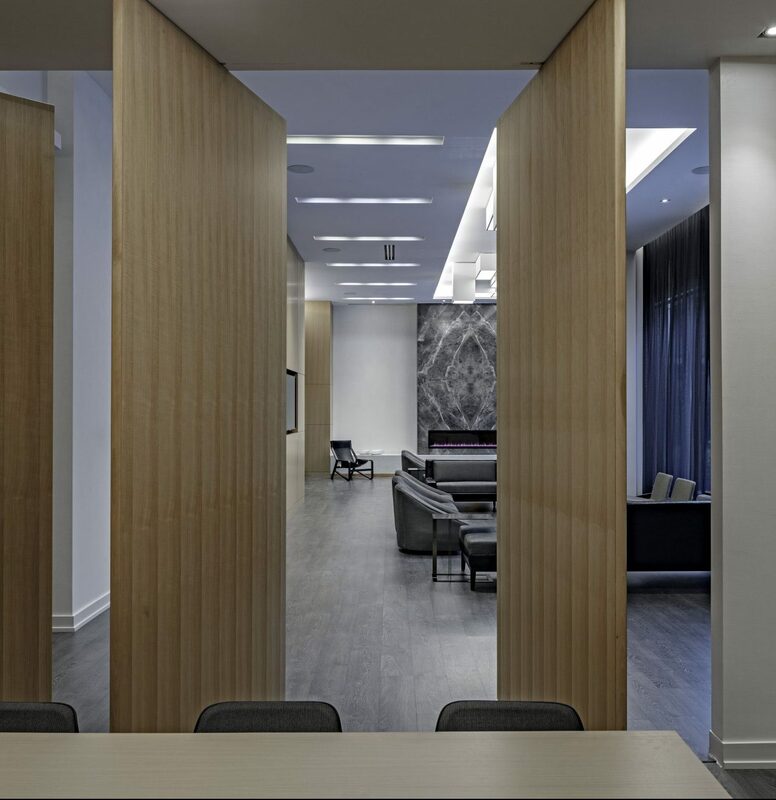 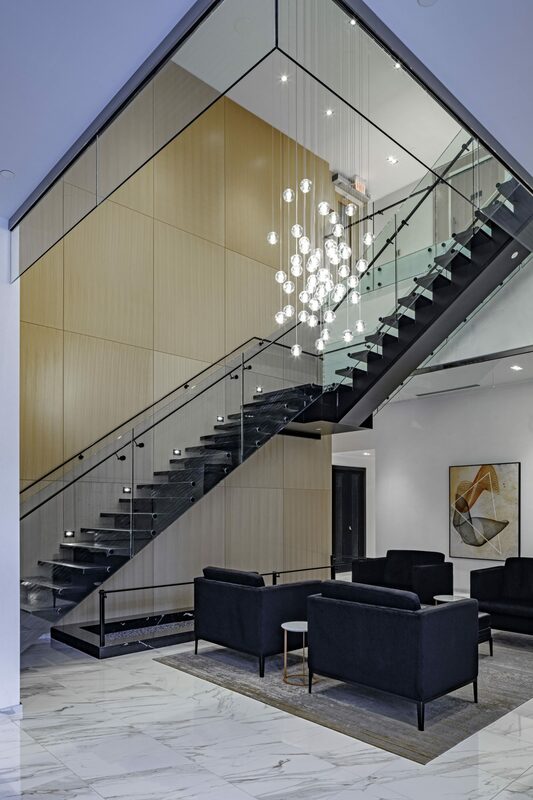 The experience begins in the two storey hotel-style lobby characterized by a bold high contrast palette combined with copper architectural details and accents, as well as dramatic contemporary lighting. 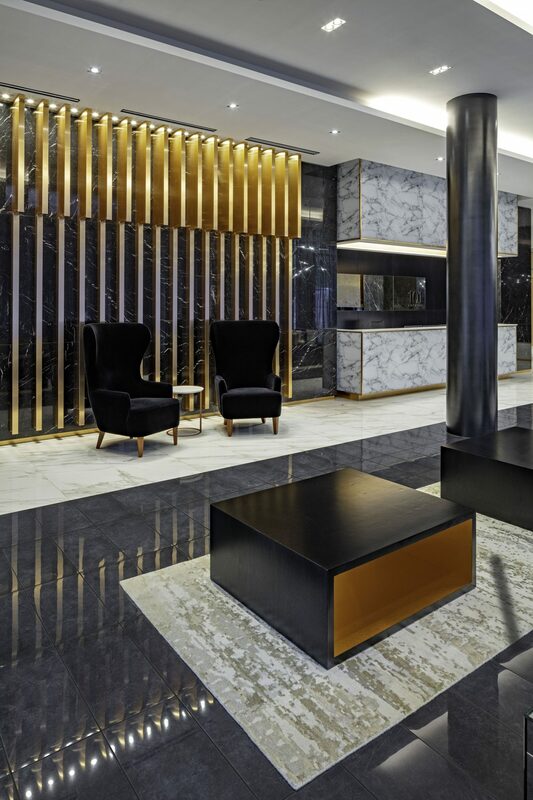 Strong linear furniture forms create a statement as does the mix of polished porcelain and marble floors, stone fireplace and concierge desk. 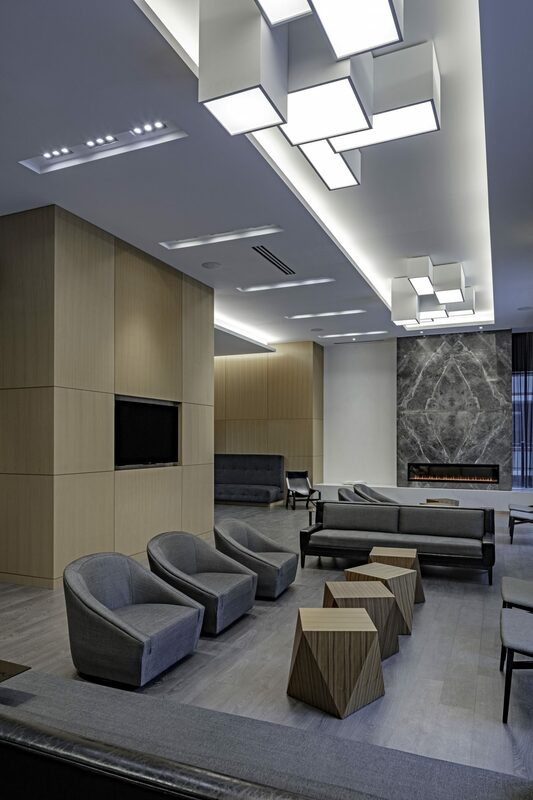 This upscale tone is carried over through to abundant recreational spaces, articulated with a softer touch; blond woods, layers of light gray stone backgrounds and lush velvets exude a serene sophistication.